This is Season 2 of my Vexingly Foodish Documentation of the Baudelaire orphans, based on Lemony Snicket's research in Books 5-9, and the ill-conceived second season of the Netflix documentary. This week, we cope with the repetitive stress of a second Netflix season and bad cafeteria food, by writing couplets. A classic Italian lasagna, made with red wine Bolognese sauce and Parmesan bechamel, with a touch of pecorino Romano and parsley. Creamy, cheesy, pasta-y and really doesn't take much longer than the boxed version. This week, we bring our own lunch to an infiltration. And, I'm sorry to say, there's also Carmelita Spats. Beer-simmered seasoned ground beef and refried beans rolled into a burrito with cheese and herbs. You can make it ahead and freeze it. Or heck, just eat it now. The misuse of bananas can drive one to a life of villainy or insanity. This recipe for a Very Fashionable Dish might help. The classic dessert, with warm caramelized bananas and vanilla ice cream, topped with rum flambe sauce. This week, we have a Very Fancy Dinner at Cafe Salmonella. Red salmon and herbs in puff pastry bites, with a drizzle of creme fraiche. This week, the tragic consequences of an ersatz restaurant review. The Daily Punctilio’s exclusive interview with Esme Gigi Geniveve Squalor, the city’s 6th most important financial advisor. She shares her innest recipe and introduces us to a handsome foreign auctioneer named Gunther. This week, we struggle to emerge from the murky depths. Make your own, refreshing, naturally carbonated herbal soda, infused with parsley and lemon. Make your own soda, naturally carbonated and tinted red from hibiscus leaves steeped with lime. Make your own, refreshing, naturally carbonated lemon-lime soda. This week, we contemplate life’s most important lessons. Arizona-style enchiladas in a mild red chile sauce, stuffed with shredded chicken and covered with melty cheese. An all-guajillo chile sauce for enchiladas. This week, we try to think of something. A classic Mexican breakfast that will stop you in your tracks. A lightly fried corn tortilla topped with flavorful beans, an egg and salsa de molcajete. Salsa made from garlic, roasted tomatoes and serrano chiles, ground together in a molcajete (mortar and pestle) and served warm. This week, we hide a pircee from our enemies. File this week’s recipe under F for Hal’s family. Chicken noodle goodness in a white wine broth infused with thyme and classic aromatics. This week, we share a traditional folk tale of forbidden love and advanced cooking skills. This classic Thai chicken dish will blow you away. It's so good you may dream about it - seriously. it’s got it all going on: umami, salty, sour, sweet. Serve it as a main dish with steamed rice or as a soup or side. 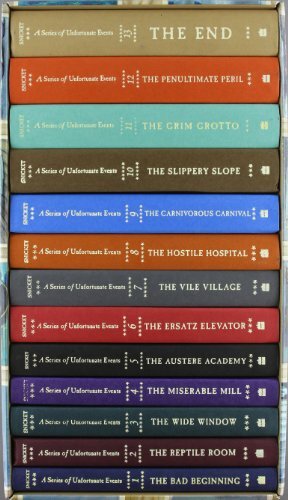 By now you are probably aware that A Series of Unfortunate Events was originally a book series, dutifully written by Lemony Snicket to tell the true tale of misery endured by Violet, Klaus and Sunny Baudelaire at the hands of Count Olaf, and to clear his own name. In recent years, Snicket has begun a new, even more desperate attempt to retell the treacherous tale on Netflix, in the form of a documentary. As a student of the history of the Baudelaires, I have assumed the grim duty of reading the entire tragic series, and watching every episode, myself. You, however, are under no such obligation. From the Bad Beginning to the bitter End, this terrible tale contains vile food and unpleasant dining companions with treacherous table manners. I have vowed to create this series of recipes for those who prefer to spend their time eating delicious food in the company of pleasant people. You may choose to follow along if you also prefer that sort of thing. This photograph, obtained by one of my associates, shows the carefree schoolchildren who, due to a lapse in their parents' judgment, were exposed to the true culinary history of the Baudelaires in a class allegedly taught by me in 2015. The recipes and files from that original class have been collected here for those who have nothing better to do.